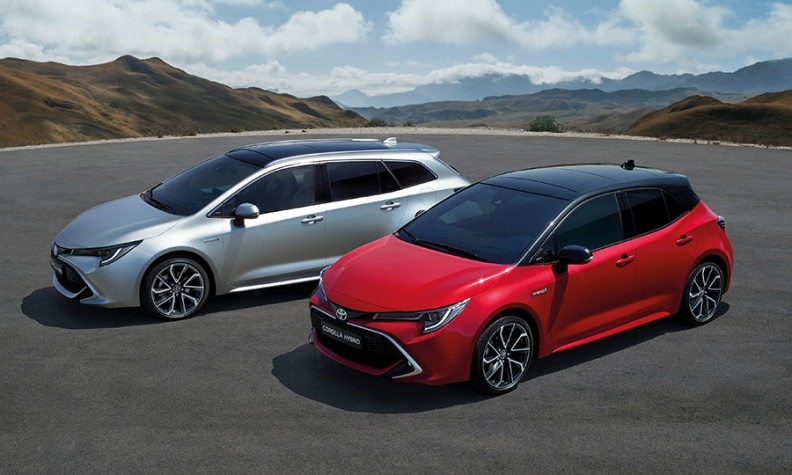 Toyota is returning to the Corolla name for its compact hatch and wagon (shown) that in 2019 will replace the Auris models. Toyota’s persistence with hybrid power has paid off as it continues to lure buyers across Europe who are fleeing diesels. 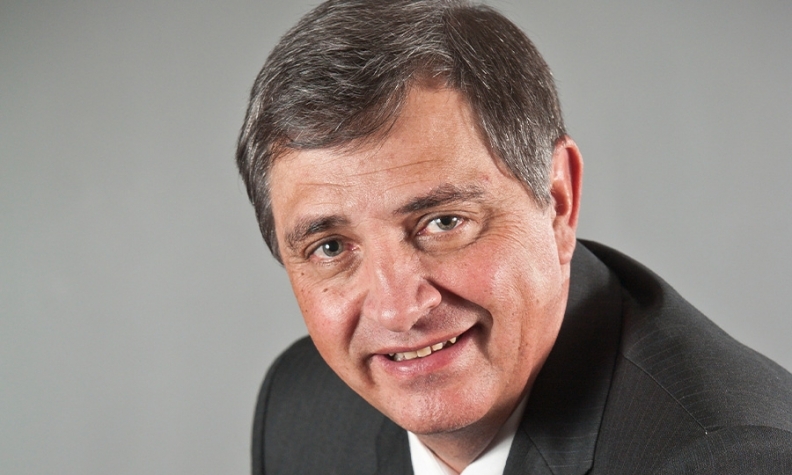 Led since 2015 by South African Johan van Zyl, Toyota Europe has used its steadily growing influence within the wider company to help ditch the brand’s reputation for staid cars, replacing them with a more exciting lineup exemplified by the bold and successful C-HR compact crossover. Automotive News Europe Correspondent Nick Gibbs spoke with van Zyl about how Toyota aims to remain successful despite headwinds including turmoil in Turkey and battery bottlenecks. What are the profitability headwinds Toyota faces in Europe? Things like very dramatic changes in exchange rates; like what has happened in Turkey, where we had a 40 percent to 50 percent reduction in value of the currency. And, of course, Brexit can also have an impact on our overall profitability in the future. We are putting all our effort into improving our competitiveness and making sure we stay profitable in Europe. Since Toyota exports models such as the C-HR out of Turkey could a weaker local currency be a good thing? We also make the Corolla sedan there, the majority of which are going to the Turkish market. That market has been quite tough on pricing with the exchange rate, and of course volume is going to come under pressure. It was more than 900,000; we now see a market of maybe 550,000 in 2019. What would be the most important countermeasure you would take in the event of a no-deal Brexit? We already started by improving our UK plant’s competitiveness. We don’t know what the impact on our logistics will be. Regardless of what we do, if there is a WTO (World Trade Organization) tariff applied, it will not be possible to offset the total cost increase against just efficiency improvements. So, it will have to be a combination of cost reductions and some absorption of margins, which of course will put the competitiveness of the operations under threat. You mentioned Australia as an example of what happens when a country is no longer competitive. What happened in Australia was that government policy was changed, and that eventually led to the closure of the total industry, which was very sad. In 2016 you said you were chasing 5 percent market share in Europe by 2020. You are pretty close to it now. at 4.9 percent through the end of September, according to ACEA. Have you set a new target beyond 2020? No. We are still looking at a 5 percent market share target. We are not a volume chaser. We need to be sustainable. Europe is such a fragmented market and competition is so severe that if you have a market share of 7 percent to 8 percent already, you are in the top league. A 5 percent challenge is big. Will the investment you make at your plant in Valenciennes, France, be for a small SUV? It’s a market you are not in at the moment. The areas that are growing are also the areas in which we would like to compete. One of those is the small-SUV segment. This could be a very attractive segment for us in the future. The C-HR is very boldly styled. Is bold the way forward, or are different SUV segments more conservative? We have said we want cars that are distinctive, and that is the direction we are heading. I think the C-HR is really giving future direction in terms of what we want to achieve — maybe not as bold as the C-HR, because it had to play a specific role for us. But our president said no more boring cars. Cars such as the new Corolla that replaces the Auris are no longer specifically aimed at Europe. You are now more global. What is Europe’s development role within Toyota? We are one of the biggest markets in the world for small cars, so in that area we are playing a very important role from a model leadership point of view. We were also responsible for the compact segment, for the design and styling for the Corolla. Is it fair to say Lexus hasn’t capitalized on hybrid popularity in the same way Toyota has? No. Look at Lexus’ western European sales -- 99 percent are hybrids. We have had six years of continuous growth. We have a target of 100,000 by 2020, and we are very confident we will reach that. We were 75,000 last year, including Russia. The growth is coming from the NX and RX SUVs, and now we are launching UX [compact SUV]. What do you think the SUV percentage will be for Lexus going forward? Easily above 75 percent with the UX. How would you characterize your plug-in hybrid strategy for Europe? We have always said we are going to have hybrids, plug-in hybrids and battery-electric vehicles. Of course, hybrids will remain our volume models, and then we will supplement with battery electric. Do you need them to reach EU CO2 reduction targets for 2020-21? No, we are reasonably well-positioned for 2020. But when it comes to targets for 2025 and 2030, it will be a challenge even for us to achieve that, so we must adjust our product range to include battery-electric vehicles and plug-in hybrids. How much depends on what the final target will be. "We must adjust our product range to include EVs and plug-in hybrids," Toyota Europe CEO Johan van Zyl said. MAIN CHALLENGE: Navigating threats to profitability in Turkey and the UK while continuing to expand Toyota’s range of hybrid models. When will these new plug-in cars arrive? We haven’t announced launch dates yet. The supply of batteries for your hybrids is a bottleneck for you. How are you going to overcome that? In the short term, we have a shortage because of our rapid growth. But hopefully we will be able to overcome that by increasing capacity at our suppliers. We have different suppliers. Would you like some of those batteries to be built in Europe? It would be great if we had a battery supplier in Europe. In reality, it will have to happen. If everyone is going to go with electrification, then we can’t all import batteries. Do all your batteries currently come from Japan? No. We have various sources for batteries. Japan is one. Currently, our biggest supplier for Europe is Panasonic, for nickel-metal hydride and lithium ion. How localized in Europe are you for hybrid parts? At the moment, they are coming from Japan. But we have started localization of some hybrid components -- for example, transaxles — and we will continue. We are thinking of also localizing motors and invertors in the future. What is the localization rate for all your cars built in Europe? It’s more than 60 percent for gasoline models but below 50 percent for hybrids because of the imported hybrid systems. Why have you waited until now to localize hybrid parts? Two reasons. First, the volume, because the investment is quite high. And secondly to find the confidence in the supply. We are building transaxles at our own plant in Poland. What is the future for Europe’s minicar segment? The A segment is a very important portion of the market for us. First of all, the profile of the customer is much younger, which is good for us because we want to introduce a younger generation to our brand. And secondly, the Aygo is our biggest conquest car. It brings new customers into our fold. We would like it to continue.